– The Romans who introduced wine culture, used grape juice (verjus) as a cooking aid. In the middle ages, it was used extensively in cooking, (the lemon was still not known), and verjus was used in most sauces, reductions in the 19th Century. Many celebrated works spoke of verjus. Larousse de Cuisine cited ‘verjus mustard’ which gave a better flavour than vinegar; Larousse menager spoke of the product which combatted obesity. A natural product (additive free), preserved through pasteurisation, ‘Perle de Raisin’ is a slightly acidic product, containing very little sugar. 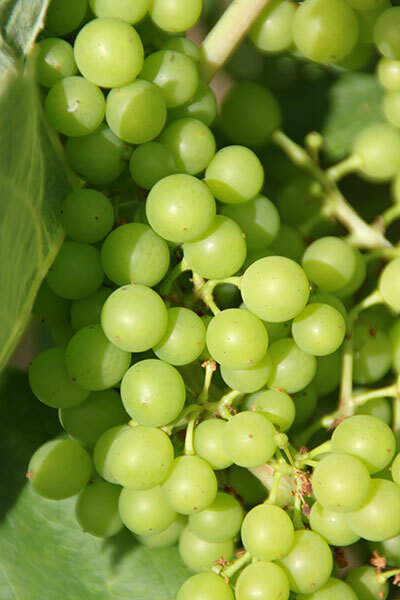 This (white) grape juice cooks very well, and accompanies perfectly fish, and other seafood products (cooked or raw), and can be incorporated very well into a sauce accompaniment for different meats. Its ability to refresh means it is extremely at home in ice cream or sorbet, or simply mixed with water.